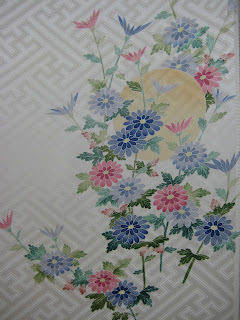 I`ve been in Japan for 2 weeks now (with another 4 to go) and have already seen plenty of wonderful Japanese crafts. Although it is hot in August, I have to admit I`m a fan of hot weather so I`m having a great time. I`ve so far been to Yokohama, Tokyo, Nagoya (inlcuding Tokoname for pottery and Arimatsu for shibori `tie-dyeing`) and Kanazawa (gold leaf and kaga-yuzen dyeing). Tomorrow I`m off on a day trip to Wajima, famous for it`s lacquerware. The past few days have been a bit tricky, as many things have been closed for O-Bon - a bit national holiday for honouring the spirits of the ancestors. Here`s a very brief introduction to some of the things I`ve seen so far. It`s amazing how widely exhibited crafts are, everywhere. I began my crafts exploration with a trip to the Japan Traditional Craft Centre in Ikebukuro, Tokyo. It`s essentially a salesroom/exhibition space - all the objects are exhibited beautifully, and all of them are for sale. 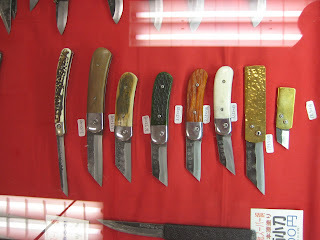 I tried to make a list of every type of craft on display, but there were just too many to count and I had to give up! The temporary display changes every two weeks, and there was also space for a crafts-person-in-residence. Unfortunately, photos weren`t allowed. 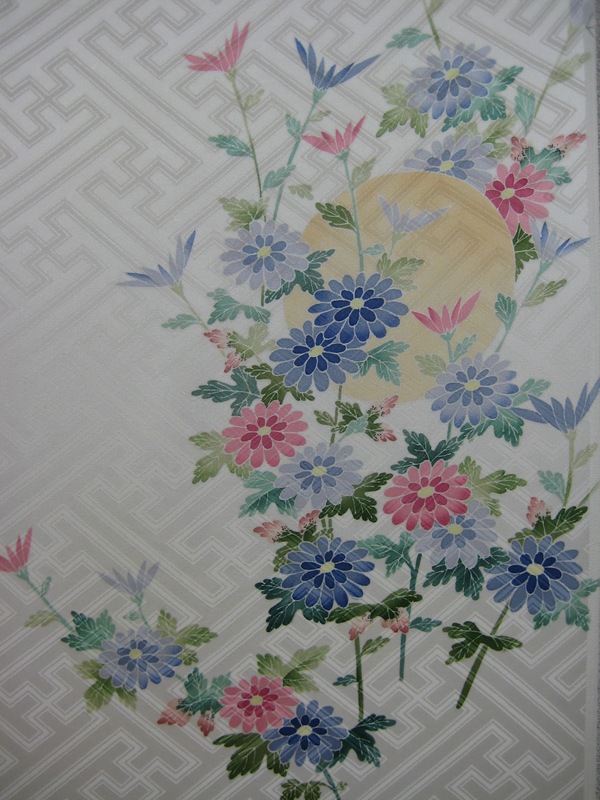 Traditional Craft Industry is a status designated by the Ministry of Economy, Trade and Industry, and to be designated as such a craft must fulfill the following criteria. 4. The materials should be mainly those which have been traditionally employed. 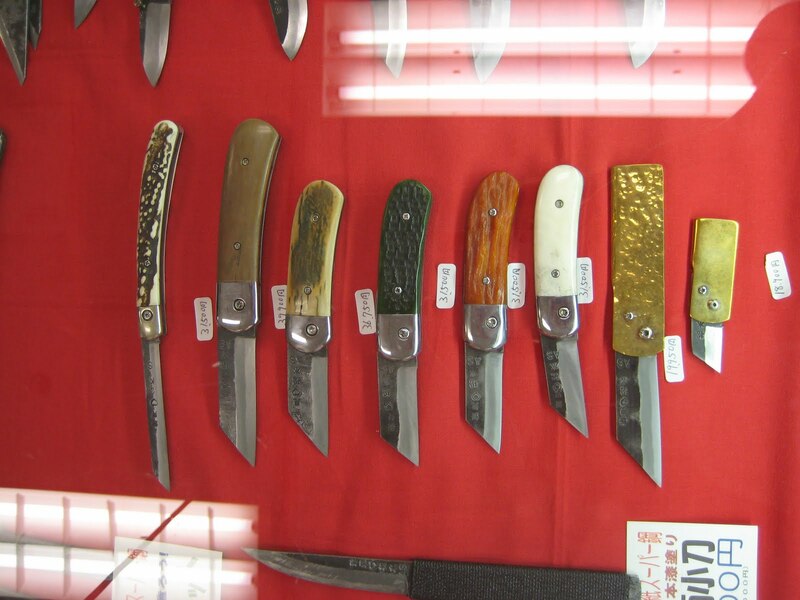 Japan also has a traditional crafts mark which is administered by each local craft association according to the criteria set by the Ministry. 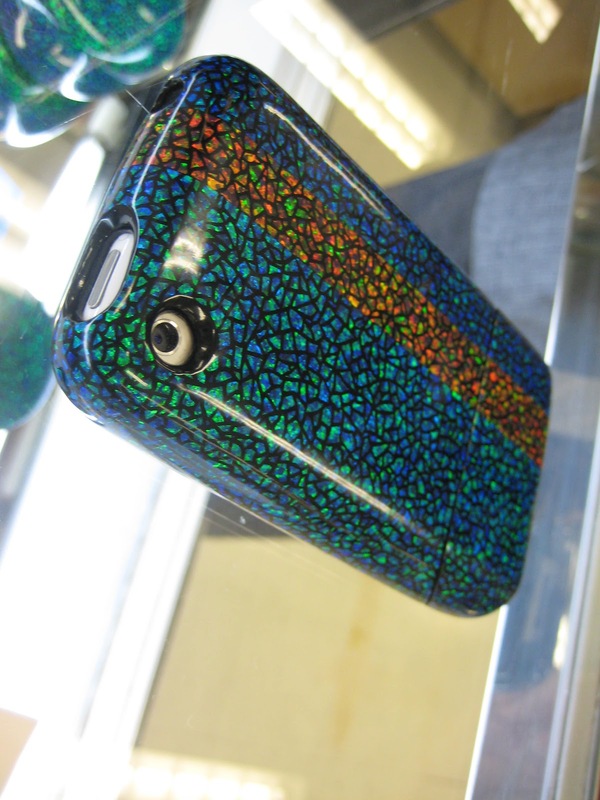 According to the Centre, the mark `guarantees quality and authenticity and they are indeed the pride of the craftspeople`. [Photo Photo IMG_4603 and IMG_4602. 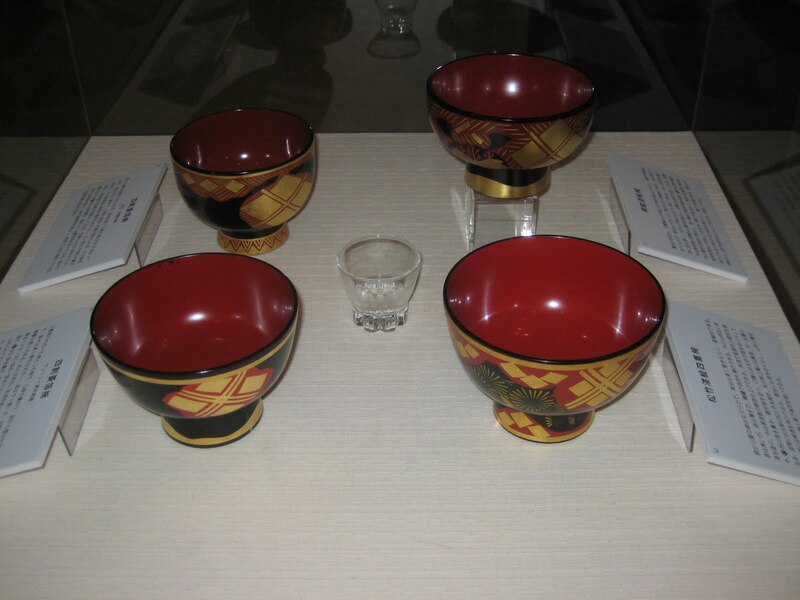 Caption: Ishikawa Prefecture is famous for both its lacquerware and its gold leaf. The gold leaf is repeatedly pounded and pounded between sheets of special paper made from a plant that I`ve forgotten the name of until the gold is only 0.0001mm thick (I think). What`s interesting about these bowls is that they`re replicas of the top 100 lacquer bowls in Japan. I was amazed that there`s actually a list of the top bowls! 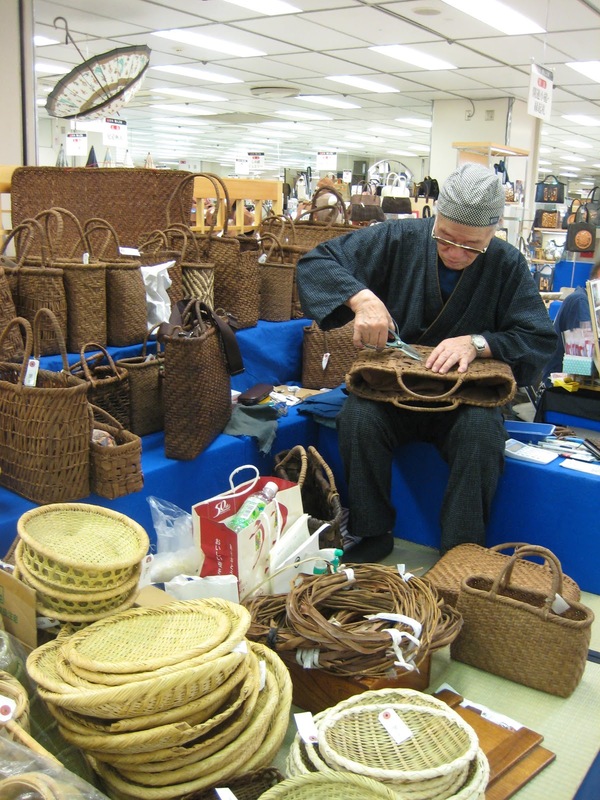 Another place for displaying traditional crafts is in department stores. The big stores (like Takashimaya, Sogo, Mitsukoshi etc.) 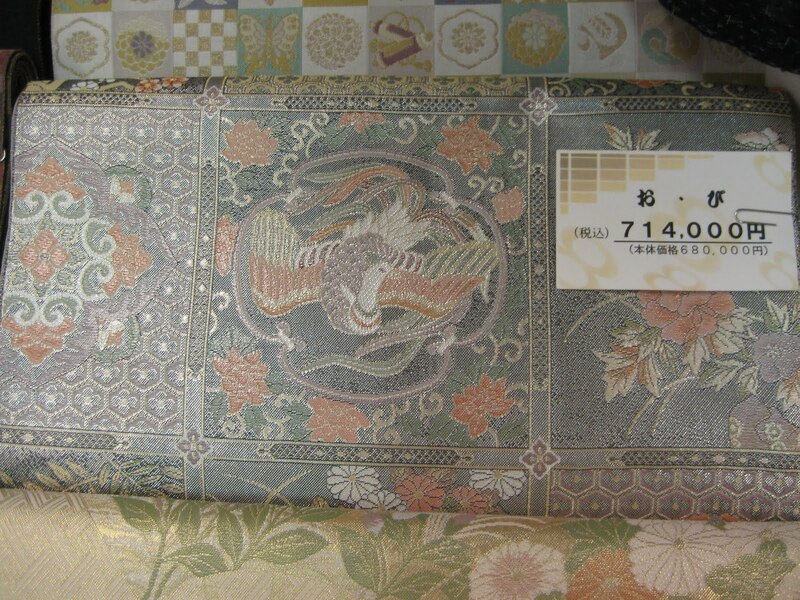 often have one floor dedicated to traditional Japanese products (porcelain, kimono, household goods etc.) and another floor which serves as a gallery space. I was lucky enough to visit the Sogo department store in Yokohama when they had several days of craftspeople from around the country demonstrating and selling their work. 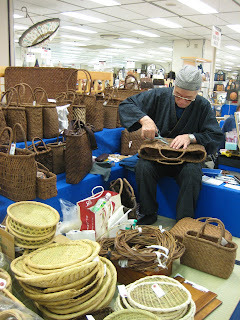 A basketmaker at work in Sogo department store. These baskets are made out of Japanese Rose. 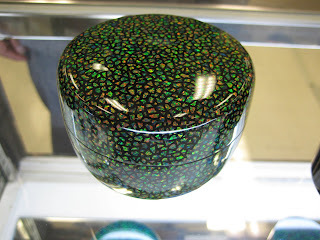 Japanese `traditional` crafts are by no means stuck in the past - this technique was developed by the maker, and involves putting hundreds and hundreds of tiny pieces of opal onto the lacquer and sanding them down until smooth. The amazing thing was how the opal changed from red to green as you moved it in the light. From what I`ve seen so far, traditional crafts really are much more a part of people`s lives in Japan then they are in the UK. Hope to be able to update again soon, with a few more photos.